Digital Encryption: 1:32000 unique codes. Daiyo Door Chime transmit digital signals using anti-interference systems, which results an ultra 150m operating range, that over-comes any obstacles.With Daiyo Chime speaker system it provides 48 powerful soothing musical tones from the miniature built-in speakers. 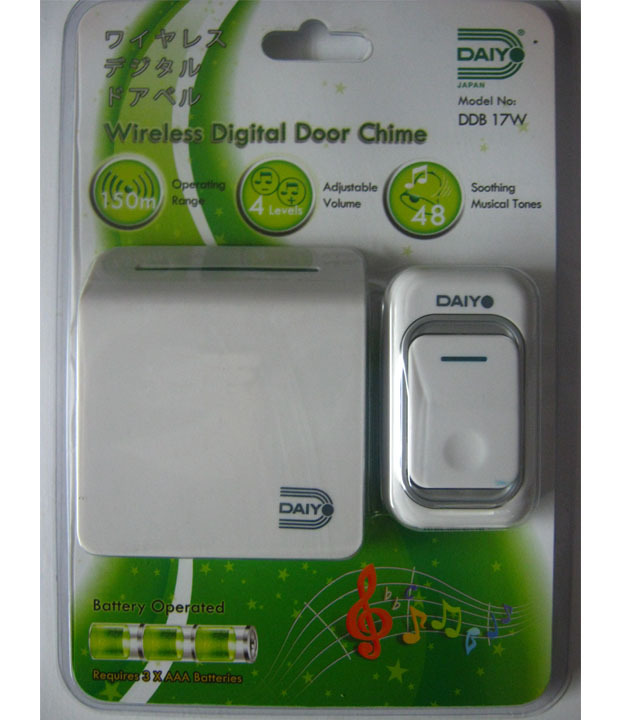 Thus, suitable for any dwelling houses, tier building,multiple apartments, hotel, hospital that requires Daiyo Door Chime.